Dr. Louis Chen received the maximum prison sentence Friday for the knife slayings of his partner and their 2-year-old son five years ago. His attorneys had argued Chen suffered from mental illness worsened by an adverse reaction to medications, including a drug in cough syrup. 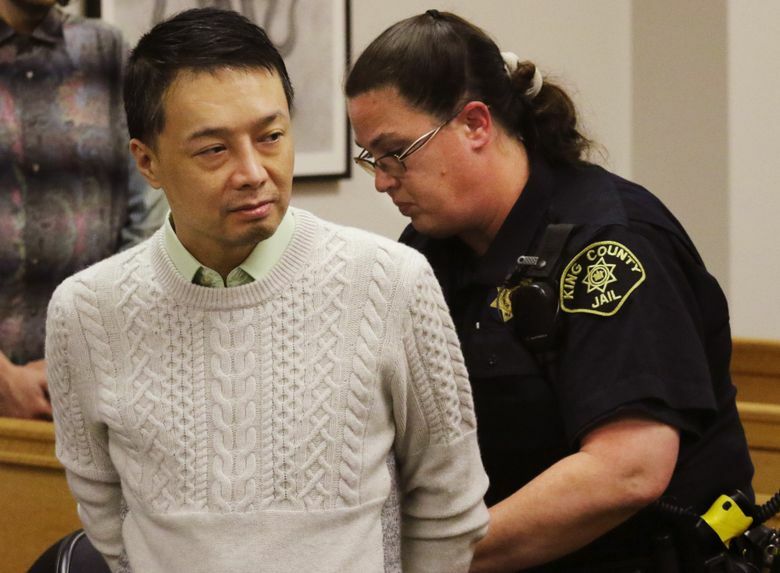 Was Dr. Louis Chen psychotic or simply enraged when he killed his long-term partner and their toddler son in a Seattle penthouse five years ago? That’s what King County Superior Court Judge Bill Bowman — who sentenced Chen to 49 years in prison Friday — had to decide after listening to a week’s worth of testimony from psychiatric experts about the state of Chen’s mind when he killed 29-year-old Eric Cooper and their son, 2-year-old Cooper Chen, in a Seattle penthouse in August 2011. Senior Deputy Prosecutor Don Raz argued Thursday that Chen’s crimes were among the “the worst of the worst” atrocities. But, he said, they were fueled not by mental illness but simply rage and fear over the couple’s impending breakup and the possibility of a child-custody battle. Raz argued that Chen, 43, deserved 49 years, the longest possible sentence within state guidelines. He said Eric Cooper was stabbed more than 177 times and Cooper Chen’s throat was slashed from ear to ear. Worse, the toddler did not die immediately, but ran down the hall from the bedroom to the living room where he sought help from Eric Cooper, only to find his primary caretaker dead. “We believe it is a reasonable sentence for the taking of two lives in the most horrific way possible,” Raz said. Chen’s attorneys, however, said the physician suffered from longstanding mental illness that culminated in a psychotic break inflamed by self-medication and a buildup of a drug found in cough syrup. Experts for the defense testified during the sentencing phase that Chen’s depression and paranoia were exacerbated by a buildup of dextromethorphan, which they said can, in large amounts, contribute to psychosis. 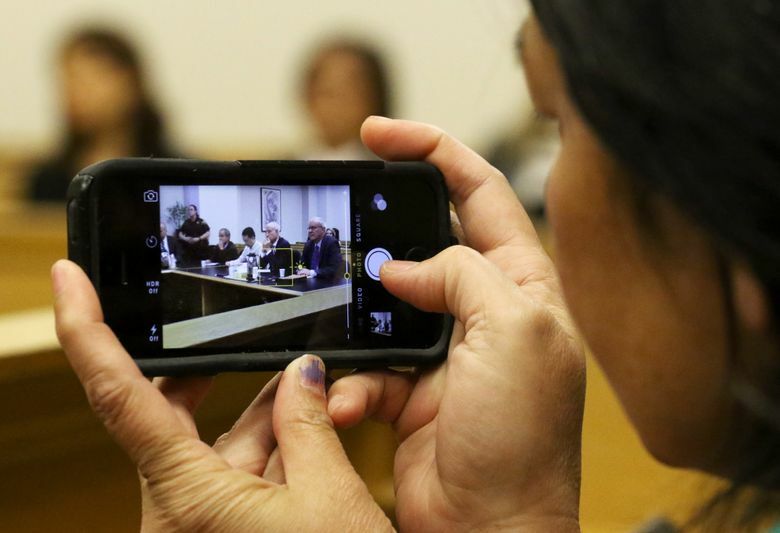 Chen’s defense lawyers advocated for the minimum mandatory sentence of 24 years. They said Chen was considered gentle, kind and thoughtful by colleagues and had a history of hard work, dedication and good deeds until he began to deteriorate mentally. 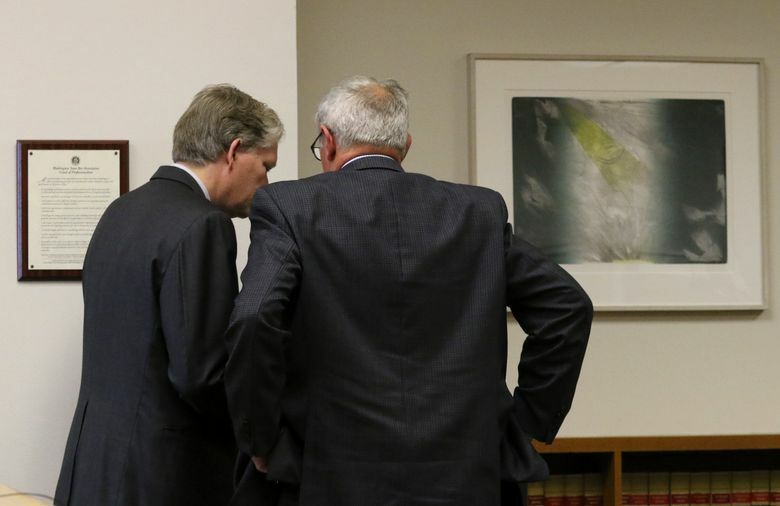 “He was psychotic to the point that it interfered with his ability to know right from wrong,” said defense attorney Todd Maybrown. Chen, an immigrant from Taiwan, was attending the University of Chicago Pritzker School of Medicine when he met Cooper, who was then a 17-year-old high-school senior in Tinley Park, Ill., friends and relatives of the couple have said. Cooper left home and followed Chen to California, Washington and Minnesota, where they acted on their dream of having a child. 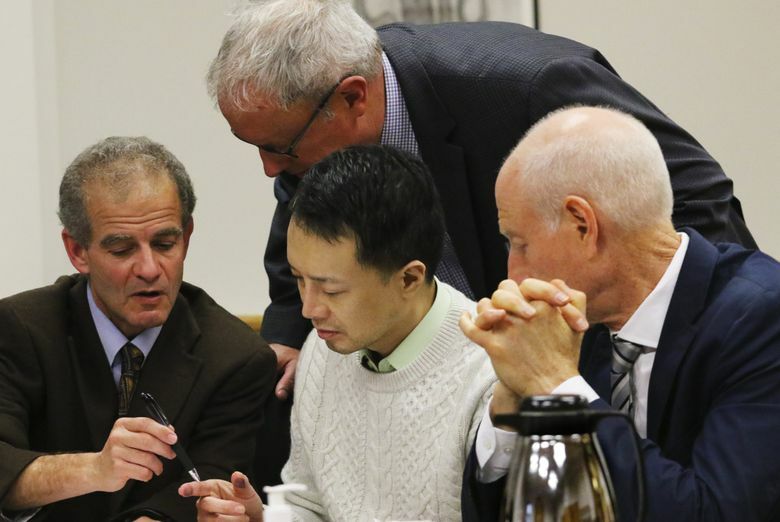 Cooper Chen was conceived with Chen’s sperm and the egg of a Taiwanese woman, which was implanted in the womb of an Oregon woman, friends of the couple said. The family then moved to North Carolina, where Chen completed a two-year fellowship in endocrinology at Duke University. In 2011, he accepted a position at Virginia Mason Medical Center and the trio moved to Seattle. When Chen didn’t return calls from his sister and failed to show up for his first day of work on Aug. 11, 2011, the manager of the family’s apartment was contacted by both Chen’s sister and a hospital manager. The hospital employee went to the apartment, and Chen opened the door naked and covered in dried blood. When police arrived, an officer asked Chen, “Who did this?” and Chen responded, “I did,” according to records. Investigators learned that Chen and Cooper were in the midst of a breakup and that Chen believed he’d been duped by Cooper. Inside Chen’s apartment, homicide detectives found a variety of medications, along with prescriptions and blood-soaked notes written by Chen, which they say provided evidence of a possible dual motive: that Chen feared Cooper would report his prescription-drug abuse and the abuse of his prescribing powers as a doctor, or use that information against Chen in a future child-custody dispute. Chen was originally charged with two counts of aggravated first-degree murder, crimes that are punishable by the death penalty or life in prison with parole. Prosecutors, however, elected not to seek capital punishment, and in February of this year Chen pleaded guilty to first-degree murder for the slaying of the toddler and second-degree murder in the death of Eric Cooper. On Thursday, the judge heard from Eric Cooper’s mother, Dawn Miller, and a friend, who spoke to the court by Skype. Both shared memories of Eric and talked about his friendly, compassionate and upbeat nature. Miller said Chen had given her family a life sentence of horror and grief, and urged the judge to issue him the maximum sentence. Toward the end of the hearing on Thursday, Louis Chen spoke. He talked about the joyful years he and his family shared and said he mourns his dead son every day. “The tear I caused in our universe is profound,” he said.